Just Peachy. Lip & Cheek Stain. Build it up for a bold pop of colour, or apply it lightly for a sheer wash – it’s totally versatile! 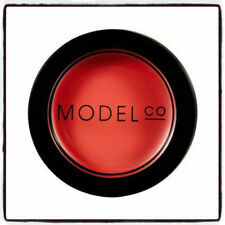 This might look like your classic cream blush, but this 2-in-1 formula adds a pop of colour to both lips and cheeks. Thanks to its silky texture, and blendable formula, it provides a natural-looking tint to both without drying your skin out. Build it up for a bold pop of colour, or apply it lightly for a sheer wash – it’s totally versatile! HOW TO USE Apply to your cheeks using your fingertips – tap a little onto your apples then blend out the edges for a natural flush. For your lips, smooth it on using your fingertips and re-apply as needed. SHADE.JUST PEACHY. All our products are 100 % genuine. RRP £14.00. This cheek and lip stain has long-lasting effect. 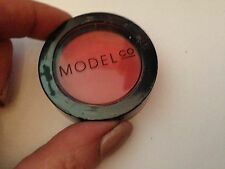 ModelCo Cheek & Lips Creme Rouge - Just Peachy, 3.6g. New. (RRP £14). 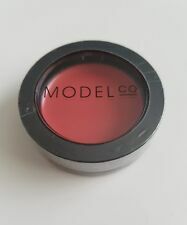 Model Co.
I’m selling quite a few of my beauty products for a number of reasons: 1) Part of a gift set but I wouldn’t use the product. 2) Tried but not compatible with my skin. 3) No longer use these type of products (basically I’m not into make-up as much as I used to be!) Therefore most of these items are either new, almost new (used twice max) or used a few times but still in very good condition. Please message me if you have any questions. Brand new - sealed. MIX N MATCH.Add any. new and sealed. and get one FREE!